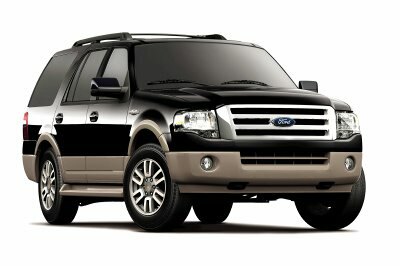 The large SUV is a vehicle that has carved out a niche in American society. Despite engineering’s hard turn towards fuel efficiency, the 8-passenger SUV is still a much desired option among American drivers. As such, new models are being released again this year; models that possess all the interior luxury, rugged capability, and family-friendly efficiency that their smaller cousins possess, only much more power and storage capacity. 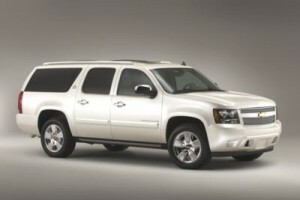 If you still have a burn for the bigger, take a look at the best 8-passenger SUVs for the 2012 model year. All research is from Consumer Reports, Edmunds, Motor Trend, Car and Driver, and J.D. Power & Associates. Ranking Number 1 out of 8 Affordable Large SUVs, according to 54 published reviews and test drives researched at U.S. News, the Chevrolet Suburban pulls into the top spot as the best 8-passenger SUV for the 2012 model year. For an SUV of this size, it actually handles and performs quite well. It possesses a smooth ride, and decent fuel efficiency for such a large vehicle. Its towing power, overall spaciousness, and brute strength make it the best choice for a large SUV. The Sequoia is actually the top pick of many expert reviewers, earning high marks in all categories, especially for its high-class, quality interior. The one thing that drops it into the Number 2 spot is the poor fuel economy when compared to competitive models. It also can’t tow the amount as many competitors, but it exceeds competitors in just about every other way. Its seating is roomier than most, and the overall driving experience is one of the best you’ll find in the large SUV segment. The Ford Expedition’s interior is the highlight of this 8-passenger monster. The maximum cargo capacity of 130.8 cubic feet is highlighted by a power folding third-row seat. This is a nice convenience to large competitors that offer bulky third-row seats that need to be fought and tussled with to remove. The layout of the gauges is sensible, and the Sync system outperforms competitors’ technology devices every year. Third-row room is one of the best in this class. Ranked as the Number 1 luxury large SUV, the GL wants for very little. “As prevalent as it might be in these days of downsizing and budget cuts to dismiss full-size SUVs as relics of the past, they exist for very good reasons, most of which are clearly demonstrated by the … Mercedes-Benz GL-Class.” No matter which engine you choose, the GL provides impressive performance. The styling is rather understated for a luxury SUV, but the interior is elegant, bold, and anything but understated. 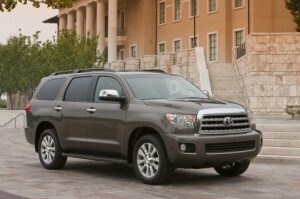 “Redesigned last year, the QX56 offers a comprehensive luxury SUV package. While the exterior styling isn’t for everyone, this behemoth puts forth power and refinement with oodles of luxury and safety features. The cabin feels vast and even offers comfort to third-row passengers.” It is available in either two- or four-wheel drive, but only offers one trim choice. Many have issue with the boxy exterior, but those who can look past the bulky look long enough to get inside it will find an interior fit for royalty.